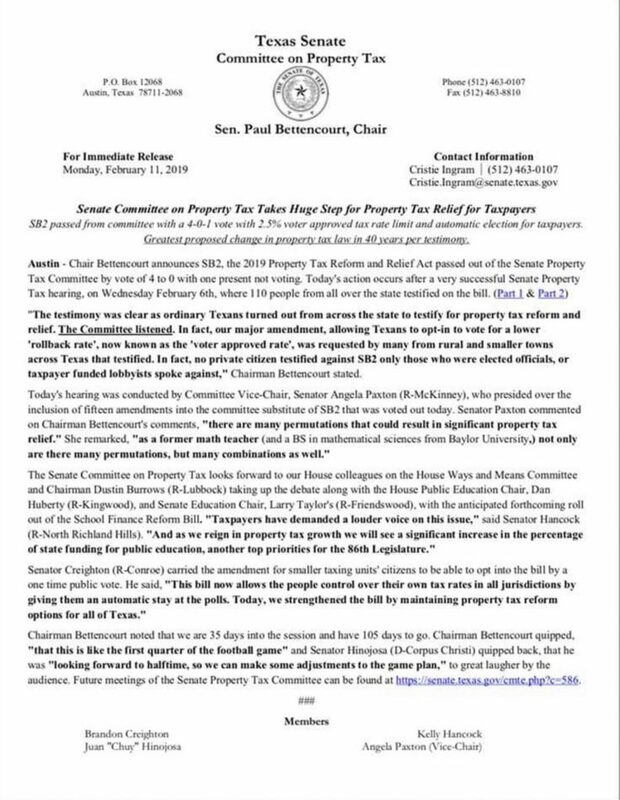 The strongly supported tax reform bill Senate Bill 2 passed committee yesterday with some fine-tuning. This comes on a passionate round of public testimony last week lasting late into the night during which all opposing statements came from local government officials or taxpayer-funded lobbyists. Around 80 percent of statements in favor came from private citizens (see infographic below). 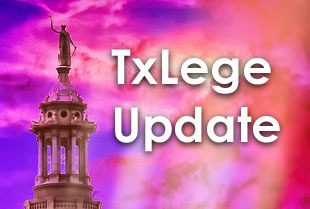 According to Sen. Paul Bettencourt, Chairman of the state Senate Committee on Property Tax, there was some adjustments, which include allowing citizens to opt-in for a lower rollback rate — a move being called by proponents “the voter-approved rate.” Previously, smaller communities were outright exempted by proposed reforms. Now voters may request it when the threshold is met (note: we still have yet to read the final committee version in its entirety). The bill would require counties and local governments to have an election for voters to approve or reject any tax hike representing a 2.5 percent or greater increase (with some exceptions). A 2017 proposal (a 6 percent trigger) failed when lawmakers could not agree what that threshold should be. Bettencourt noted the bill would augment forthcoming school finance reform legislation.